As Albert Einstein once said, problems cannot be solved at the same level of awareness that created them. With this thought in mind, the GRIHA Community portal is a step towards bridging the gap between green rating and sustainability integration. Design and development of green infrastructure necessitates large pool of qualified professionals in all parts of the country. 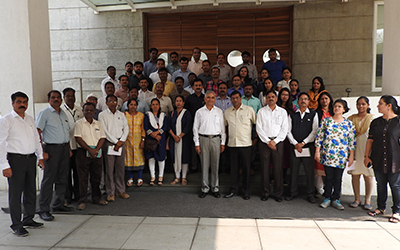 To enable the active dissemination of knowledge and skills necessary for designing green buildings, GRIHA Council organizes a series of 3 day training programs across the country for students and buildings professionals. 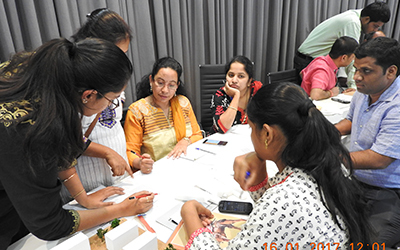 Interested professionals can also be associated with GRIHA by becoming GRIHA Certified Professionals and/or GRIHA Evaluators after attending these programs. The GRIHA Community platform aspires to bring them all together under one umbrella and cultivate a positive atmosphere for knowledge sharing and learning. Eligibility Criteria: Any professional with a degree in architecture or engineering can become a GRIHA Certified Professional. 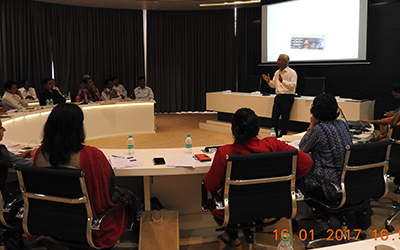 A community of GRIHA Certified Professional, the erstwhile Trainers and GRIHA Evaluators.